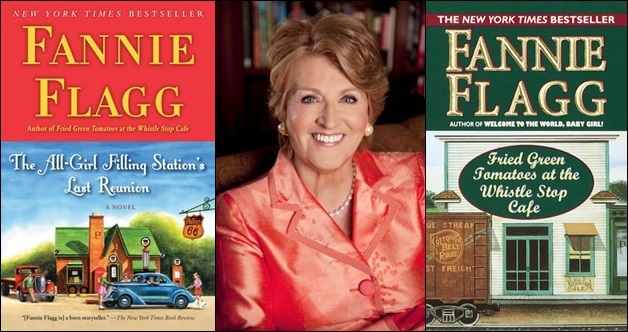 Fannie Flagg was born today, September 21, (in 1944) in Birmingham, AL. She is an American actress, comedian and author. She is best known as a semi-regular panelist on the 1973–82 versions of the game show Match Game and for the 1987 novel Fried Green Tomatoes at the Whistle Stop Cafe, which was adapted into the 1991 movie Fried Green Tomatoes. She was nominated for an Academy Award for the screenplay adaptation. In the late 70's, Flagg had a relationship with American writer, Rita Mae Brown, whom she met at a party hosted by Marlo Thomas. The couple briefly shared a house together in Charlottesville, VA. Judging from the clip below, though, she may be bisexual. BOTH! one of my favorite comedic actresses as well as author.